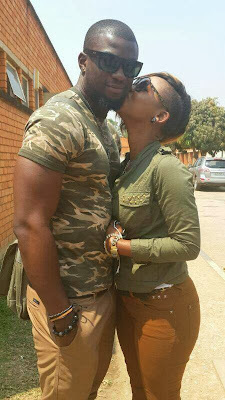 It appears all is not well between Hakeem Mandaza and his Zambian lover Clementine Mulenga. 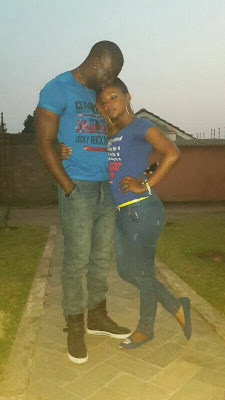 Apparently the two who fell in love during their stay in Big Brother Africa — The Chase decided to end their relationship via Facebook. In separate posts the couple confirmedtheir separation before they quickly pulled them off. “Thank you to all my fans and family for supporting me in times like these. Thank God my Mama taught me to pray,” Hakeem said on his page The African-Dream. Cleo who is popularly known as the Ice Queen wrote on her Facebook page saying she was done with Hakeem. The beautiful rapper said the relationship wasn’t working well and she opted out. There were mixed feelings among fans over the relationship with some condemning Hakeem for taking the affair seriously. “Anyway you should have listened to her sentiments on BBA at the end, as she didn’t want a relationship. Sorry, but it’s the truth. Kana wagaya kufara, hande hako paDurban. Bring friends. The more, the merrier,” said Natasha Chiwara. Another fan said that it was not the end of the world. “Shine like a star, the world is your oyster and nothing should destruct you. You gave it all and at least you tried in truth, God bless you child,” Allan Chilenga posted. Some even castigated Hakeem calling him a cry baby. “I think he deserved it. Why did he dump his baby mother. Now he is getting the punishment. It’s unfortunate he didn’t see it coming. He was used by Cleo to get fame and now he is behaving like a cry baby,” said one irate fan. The separation was a surprise to many as it came after Cleo’s visit to Harare to support Hakeem at the Mr and Ms Zimbabwe Bodybuilding Contest two weeks ago. Though Hakeem fared badly in the contest, the Zimbabwean hunk was happy to see Cleo.